COX, Edward Eugene, a Representative from Georgia; born near Camilla, Mitchell County, Ga., April 3, 1880; attended the grade schools, Camilla High School, the academic department of Mercer University, Macon, Ga., for nearly four years, and was graduated from the law department of that university in 1902; was admitted to the bar the same year and commenced practice at Camilla, Ga.; mayor of Camilla 1904-1906; delegate to the Democratic National Convention in 1908; appointed and subsequently elected judge of the superior court of the Albany circuit and served from 1912 until he resigned in 1916, having become a candidate for Congress; unsuccessful candidate for election in 1916 to the Sixty-fifth Congress; elected as a Democrat to the Sixty-ninth and to the thirteen succeeding Congresses and served from March 4, 1925, until his death; chairman, Select Committee on Tax Exempt Foundations (Eighty-second Congress); had been reelected to the Eighty-third Congress; died in Bethesda, Md., December 24, 1952; interment in Oakview Cemetery, Camilla, Ga.
Papers: 1943-1955, 0.25 cubic foot. The papers of Edward Eugene Cox contain letters, clippings, and printed materials concerning his 1944 and 1948 campaigns for office; his resignation from a committee to investigate the FCC in 1943; records of a campaign to fill his seat after Coxâ€™s death; memorials delivered in Congress; records of Ross (Roscoe) Rizleyâ€™s campaign in Oklahoma; and the literature of various smear campaigns against Cox and his opponents, said to be connected with civil rights, progressives, and communists. 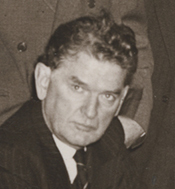 A photograph of Edward Cox is in Visual Materials. A finding aid is available in the repository. Papers: In File II Names, n.d., 92.5 linear feet. Correspondents include Edward Eugene Cox. A finding aid is available in the repository and online. United States. 83d Cong., 1st sess., 1953. House. Memorial services held in the House of Representatives of the United States, together with remarks presented in eulogy of Edward Eugene Cox, late a Representative from Georgia. Eighty-third Congress, first session. Washington: Government Printing Office, 1953.